Prior to the introduction of affordable home video playback devices, there exactly two ways which an average person could view a film. He could watch it in a theater or see it on television. Once it was out of theaters or off the air, all he would likely keep were his memories of the film. Some people had 8 or even 16mm projectors, but film prints (or highlight reels) were not something you found in an average store. All this began to change in the mid-to-late 70s with the introduction of Betamax and VHS, the first affordable videotape playback devices released to consumers. VHS prevailed in the format war and by the mid 1980s they were fast becoming ubiquitous in homes. For well over a decade, VHS was the only way most people saw films outside of the theater. TV broadcasts could be recorded onto tape and played back again and again. The high end Laserdisc format failed to catch on, but eventually DVD would arrive to displace VHS rather quickly as the home video market successor. When VHS became widespread, there was huge pressure to release films and TV shows onto the new format. In the early days rights issues were often winked at and public domain companies flew under the radar in the days before the Internet. However, as more people found ways to make money in the home video market, rights holders became more aware of their rights and less willing to sell them for cheap or let bootleggers run riot. A more punitive statutory copyright scheme and laws extending copyright automatically and restoring copyright to foreign works have helped in some ways to limit the material that can be released on DVDs officially. Even though most films on VHS were released in a croppped, pan and scan format (for films intended to be shown in widescreen theatrically), sometimes they remain the only official or quasi-official way to watch a film, barring TV viewings. Here are categories of some films or versions of films which have never seen a DVD release and give support to keep a VHS player. In the VHS era, when a Godzilla or Japanese sci-fi film was released, it would always use the English dubbed version which would more or less have been shown in theaters, with Pan and Scan being applied to widescreen films. Some films were later released on VHS or DVD having been restored to conform more to Toho's International or Preferred Version. Often this entailed eliminating the U.S. theatrical dubbing, which was done generally by professional actors trying to sound Asian, with dubbing done by English speakers in Tokyo or Hong Kong, who were either not professionals or did not try to affect an Asian accent. Some of these films, like Godzilla vs. the Sea Monster and especially Godzilla vs. Megalon were treated like they were in the public domain, especially the latter. Now that Toho has restored whatever copyright may have lapsed with these films, you will not see any more releases of these films except through authorized licensees or bootleggers. Sea Monster has both a US Dub and an International Dub, but Megalon only has an International Dub. After Godzilla vs. Hedorah, US distributors rarely redubbed Toho films, especially when most post-Return of Godzilla films were only released to the home video market. Outside a version that preserves original dubbing, there are other little extra bits and pieces that tend to be found on VHS releases, such as company logos, title cards and end credits. Many US theatrical release versions were edited from the Japanese version, sometimes stock music was substituted for the Japanese soundtrack. For these films, I will be using the following format. On line one there is the film's title on the VHS box, followed by the official title in parentheses if different. The second line will give the distributor and approximate release year. The third and following lines will identify the unique features of the release. Uses "Gigantis the Fire Monster" Title Card, matching the dubbing which calls Godzilla "Gigantis" among other things. DVD releases use a video generated Godzilla Raids Again Title Card, but the original dubbing remains intact. US Version by DCA which added John Carradine and other American actors to the film. The remaining Japanese footage is narrated over, not dubbed. The Japanese version is unofficially banned in Japan due to ethnic stereotyping of native characters in the film to which Ainu people took offense. RKO Dubbed version. The Media Blasters DVD contains the Japanese version and uses a 21st century dub. US Version by Crown International which added Myron Healey and other American actors to the film and narration over the remaining Japanese footage. The Media Blasters DVD contains the Japanese version and no English dubbing. US TV Release Version by AIP TV. The Media Blasters DVD contains the same International Version dubbing as the AIP TV version, AIP did not produce its own dubs for films released directly to TV. US Theatrical Release by Cinema Shares. The Media Blasters DVD and Blu-ray use the original uncensored Japanese version with Japanese title credits, the English title credits can be seen as an extra on those few DVDs which had extras included on them by mistake. International Version by Toho International. The Japanese version is unofficially banned in Japan because some of the portrayals of mutants were deemed offensive to Hiroshima and Nagasaki survivors. US Theatrical Release by New World Pictures, which added Raymond Burr and other American actors to the film. Sandy Frank released Gamera and Gamera vs. Guiron as double-bill on Laserdisc. The same thing occurred with Gamera vs. Gaos and Gamera vs. Zigra. I doubt the enhanced quality of the Laserdisc makes these films any more watchable. See the LaserDisc Database for details. MST3K has had a colorful release history over the years. In the VHS era, Rhino Home Video would release individual episodes. This was not unreasonable because each episode was feature length, usually between 95-100 minutes. One of the earliest episodes released on VHS was The Amazing Colossal Man. This was the only episode that neither Rhino nor Shout Factory has released on disc. Of course, MST3K used to say at the end of every episode "keep circulating the tapes" during its first few seasons, which encouraged viewers to trade off the air tape recordings with their fellow fans. It is very easy to find MST3K episodes that have been removed from circulation if you know where to look. In the 1980s, BBC Video began releasing Doctor Who stories on VHS (and to a much lesser extent on Beta and Laserdisc). In the United States, these stories were released through CBS/Fox Home Video (earlier known as Playtime). Most of these stories saw later episodic releases on VHS in the UK but only a few in the US or Australia received unedited re-releases. Many First Doctor VHS releases had the next episode title or the cliffhanger ending removed from the last episode. In The Daleks, Episode 7 ends just before the explosion that knocks the ship's crew to the floor. In The Web Planet, the edit required computer generated titles to be used instead of the scrolling titles of the original even though that episode did not have a cliffhanger ending. While all the Third Doctor episodes were broadcast with the usual Derbyshire-theme in the U.K., some had the theme replaced by a version composed on a Delaware synthesizer. Some of these episodes were broadcast in Australia with this arrangement. This theme can be heard on certain VHS releases like Carnival of Monsters and Frontier in Space. On the DVDs you may be able to find it as an extra, but it will not be attached to the credits. Also, some of the Third Doctor stories were presented in B&W on VHS because colorization techniques had not sufficiently advanced to allow for color. Color fades in and out for Episodes 2-7 of The Ambassadors of Death and there is only a five minute segment of color in The Mind of Evil presented as an extra on the tape. In terms of extras found on VHS which were not ported over to DVD, the only one of any prominence is the "Making of Doctor Who" documentary attached to the release of Silver Nemesis. In the U.K., the release of Shada was originally accompanied by a fascimile of its script, but this was not ported over to the U.S. Similarly, the VHS release of The Crusade/The Space Museum came with postcards and a TARDIS keychain in the U.K. (the U.S. did not get the keychain). The Space Museum was released separately, but The Crusade was not. The final category are the tapes in the Doctor Who VHS range which were never released on DVD. "Years" tapes, which for Hartnell, Troughton, Daleks and Cybermen, were not released on DVD. The episodes contained on them were released on DVD, but not the linking material from the actors. Nor were either Baker Years tapes released. The Curse of the Fatal Death was not released on DVD, but it is available online officially. 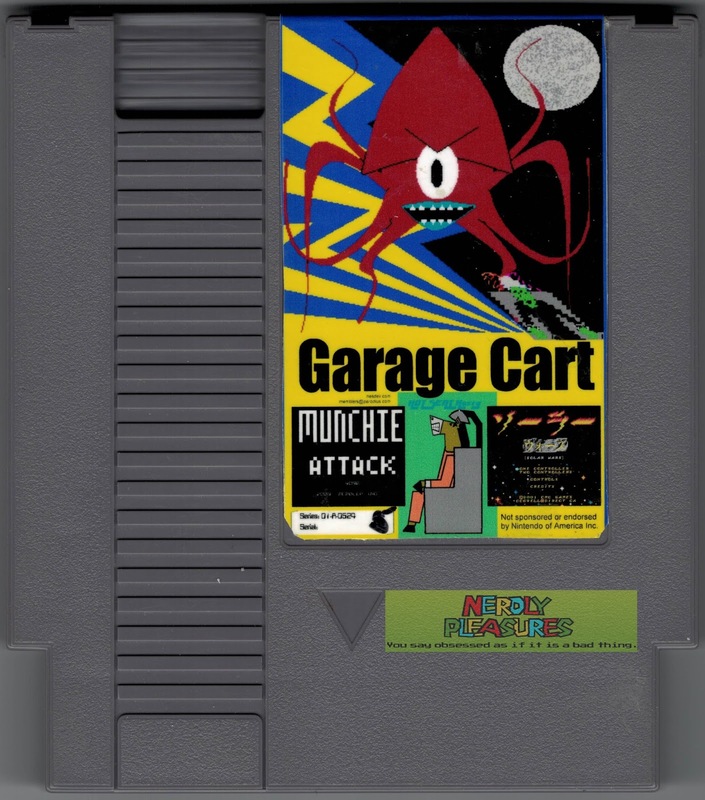 In June of 2005, Memblers (Joey Parsell), the webmaster of NesDev.com, offered for sale a cartridge he called the NES Garage Cart. The NES Garage Cart is significant because it is the first known homebrew NES cartridge ever published. Approximately 24 were hand-made and individually numbered. The last Nintendo Entertainment System cartridge that had been officially released was the unlicensed game Sunday Funday in 1995. In 1998 there was a cache of 1,500 Cheetamen II cartridges found and sold, but no new cartridges thereafter was made available for sale in any kind of quantity, however modest, until Memblers came along. The NES Garage Cart is a multi-cart containing three games. The first two, Munchie Attack and Hot Seat Harry, are games from Memblers himself. The third game is Solar Wars from Chris Covell. Solar Wars probably has the distinction of being the first homebrew game ever released for the NES. None of these games were officially released in standalone cartridge form. 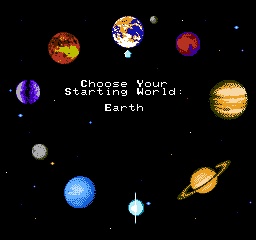 The games individually are free to distribute and can be found here : http://www.nesworld.com/index.php in the "Homebrew" section. They all play well in a NES PowerPak or EverDrive N8. There are NTSC and PAL versions of the Garage Cart, more of the former exist. 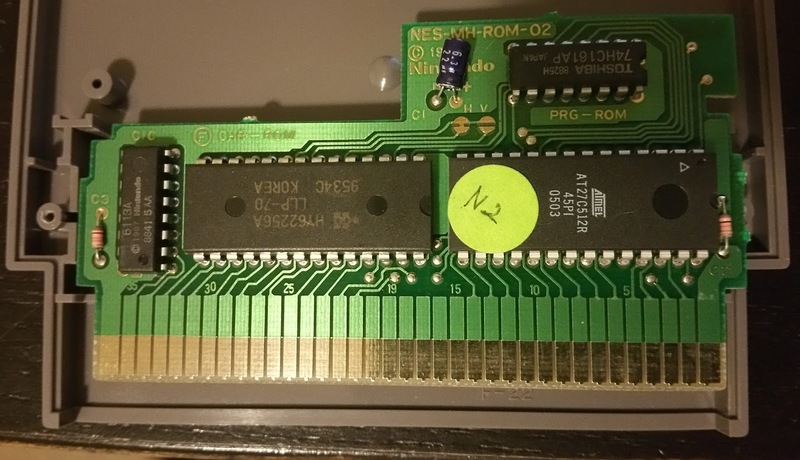 He printed up some rough labels and hand numbered the carts and sold them to NesDev forum members like me who were willing to pay. No box and no manual were included, it would be years before you could expect such amenities with homebrew cartridges. Hot Seat Harry is a simple button mashing game that only takes up 1KB of ROM space. 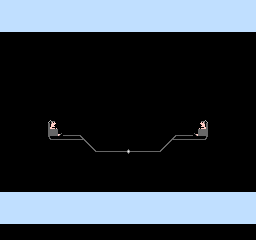 You have to get the dot in the center to touch the CPU player before he gets the got to your player. 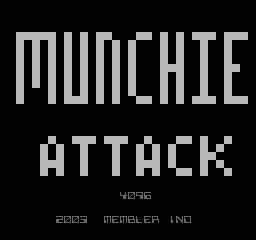 Munchie Attack is a simple eat food, avoid non-food game that only uses the D-Pad and takes up 4KB of ROM space. Both games were made for mini-game competitions held in 2002 and 2003, respectively. They would easily fit inside the smallest 16KB/8KB NES NROM board, but will require replacing CHR-ROM with CHR-RAM. Munchie Attack uses horizontal mirroring, Hot Seat Harry uses vertical mirroring. Solar Wars is a tank aiming game in the vein of Scorched Earth where you set the velocity and angle of your tank's shots. 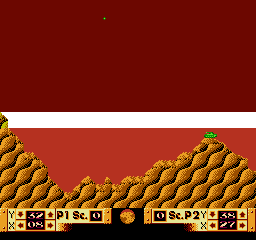 You have to deal with terrain, gravity (each planet has different gravity) and the position of the other tank, which can be moved on a player's turn. 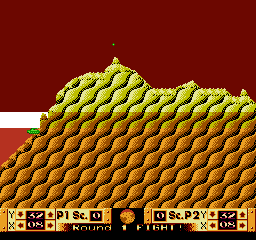 Solar Wars was originally developed in 1999, but was burnt to EPROMs and tested with a real NES. Many NES projects in the early days used inaccurate emulators like Nesticle and would fail on real hardware and later emulators which were more accurate. Solar Wars is much larger than Munchie Attack and Hot Seat Harry combined. It uses a 32KB PRG-ROM and a 32KB CHR-ROM and requires a CNROM bankswitching board set to vertical mirroring. All these games were made long before custom development boards were available. Homebrew games were tested and made in the early days by cannibalizing cheaper NES boards and cartridge shells. While they still are to some extent, there are now development boards available in sufficient quantities and from a few vendors (Memblers being one of them). While they may not rival Nintendo's MMC5 or Konami's VRC VII, they can do a lot more than just simple PRG/CHR bankswitching these days. They even use replacement CIC lockout chips. NES Garage Cart Rear - Look Familiar? While Chris Covell put up instructions on his site for Solar Wars to make your own cartridge copy, he never sold it in cartridge format himself. 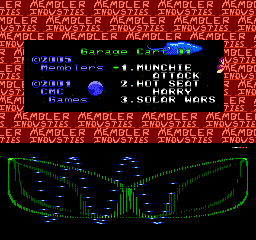 Memblers decided to release a series of homebrew cartridges with the label of "Garage Cart". He has not yet released a successor to the original Garage Cart, but he is still working on it. For the Garage Cart, he used the most common NES game in existence for his board, Super Mario Bros./Duck Hunt. 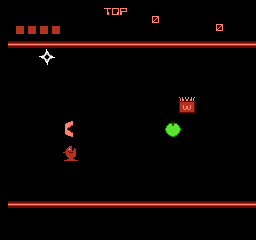 This game often comes with the Mask ROMs contained within bonded epoxy blobs, but some cartridges use a board with DIP-style packaged Mask ROMs. The board with real chips is the NES-MHROM board, which supports PRG and CHR bankswitching. Mirroring is hardwired to vertical mirroring on this PCB, which was only used for SMB/DH. SMB/DK uses 64KB of PRG-ROM and 16KB of CHR-ROM. The board itself can accept up to a 32KB CHR-ROM without modification. The Garage Cart uses a 64KB One Time Programmable EPROM (no quartz UV erasure window) for the PRG-ROM. 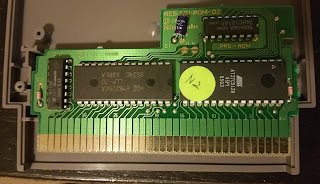 However, what makes the cartridge unique, functionally, is that it does not use CHR-ROM, in its place it has 32KB of CHR-RAM (a.k.a. V-RAM). Only a few cartridges use bankswitched CHR-RAM, such as Videomation. In order to implement the RAM, a wire has to connect the RAM chip's write enable pin to the CHR-RAM enable pin on the cartridge connector. 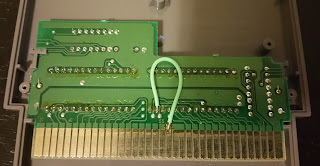 It is a very simple modification and no other rewiring is required because the pinouts for the ROM chips Nintendo used and the S-RAM and EPROM chips Memblers used are identical save for the one exception noted above The game could be dumped with a CopyNES using Mapper 66 parameters and does run in an emulator properly supporting the iNES 2.0 standard. The ROM is not publicly available but it can be emulated if your emulator or your flash cart supports the proper iNES 2.0 parameters. When I received my cart, I only had my Famicom A/V and a 72-to-60 pin converter. 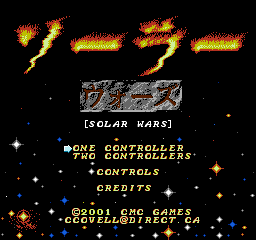 It worked just fine except that the title screen in Solar Wars would show some jumpiness. I sent it back to Memblers who opined that it could have been due to Solar Wars using color palette entry $0D, the "blacker than black" entry. $0D is so close to a TV's blanking signal that some TVs may show visual anomalies or glitches if it is used. I have a CRT that will show anomalies when that color finds its way into games. Memblers patched my copy to use the regular $0F instead of $0D for black, but the problem still persisted when I received the cartridge back. 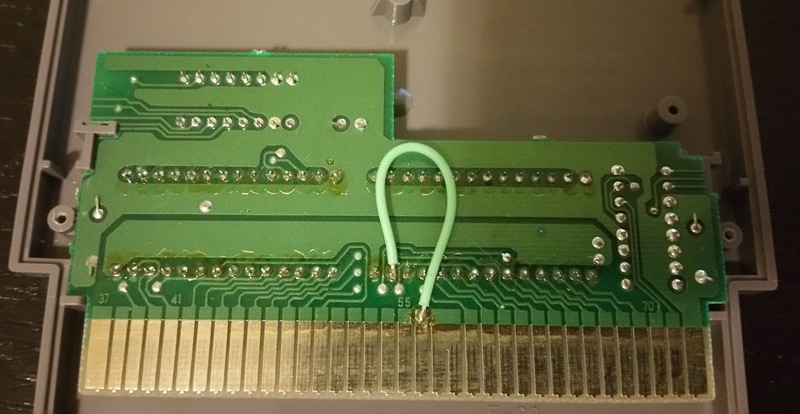 I solved the problem by using a Game Genie and then later a front-loading NES (it does occur seldomly on the latter). According to Memblers, no one else complained of the issue, so I would have been the only person to receive a hardware revision of the NTSC version. When you turn the power on your NES with the cartridge inserted, you are treated to a menu selection screen and given a choice for each game. Specially-composed music plays in the background and there is animation and a pattern being drawn on the screen until you select the game. The menu has three pieces of music, the game starts with the piece that will play if you reset the console after selecting Solar Wars. The other two games will allow you to hear another piece of music if you reset after playing each one. I bought Garage Cart #5 for approximately $42.00 plus shipping in 2004. However, other than the menu, there was nothing unique about the software. The games were all freely available and playable. I noticed that the Garage Cart had steadily climbed in value over the years. When the value had increased from $100-200 to $700-800, I knew the day would come when I would have to part with mine. I decided on using NintendoAge instead of eBay to auction off my cartridge. I did not want to pay eBay's final value fee on top of the PayPal transaction fee. 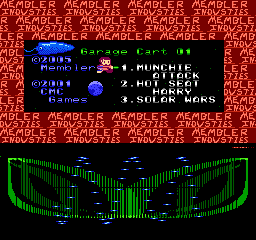 Moreover, I believed that any collector who would be interested in the Garage Cart would be on the NintendoAge forum. I let the auction go for seven days. I would not use any of that cheap nonsense about extending the auction by 2 minutes past the end time each time another bid came in. QuiBids this is not! The final bid came in at $1,870.00 on at 9:22PM on January 29, 2016, eight minutes before the auction end. The winner paid the next day and made no complaint about the shipping or insurance cost. I made sure to offer the buyer the opportunity to purchase insurance, the risk of loss would squarely be on the buyer if he did not. I even offered to deliver the cartridge to the buyer personally, since we both lived in the same state, but he demurred. Having parted with this unique piece of history, I am glad that a collector will be able to enjoy it. 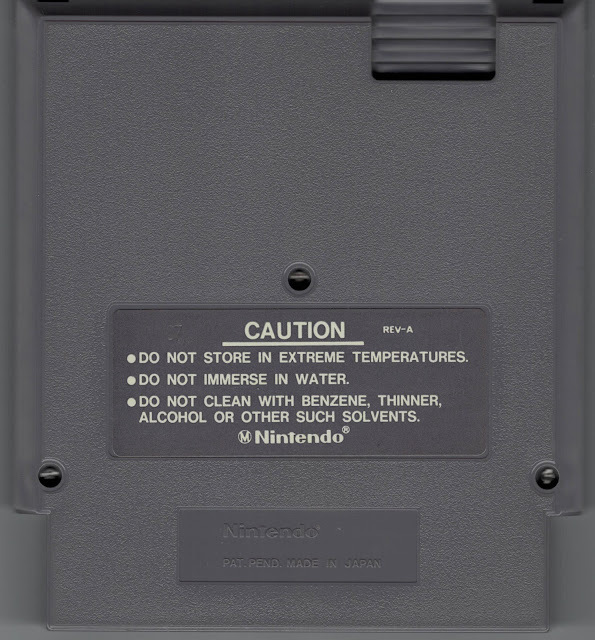 Even though the game would be easy enough to recreate, there will never be a replacement for those 24 cartridges sold during the summer of 2005. Today NES Homebrew is quite the business with many new cartridge games being released each year, but here is where it started and I had the privilege of being there for its birth.